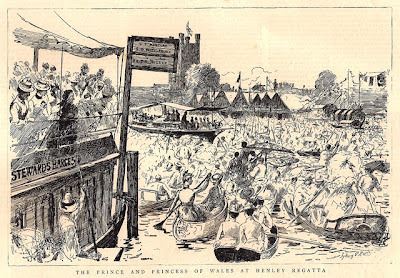 Rowing History Footnote: HRR – Not a Water Picnic! From The Graphic, 9 July, 1887. 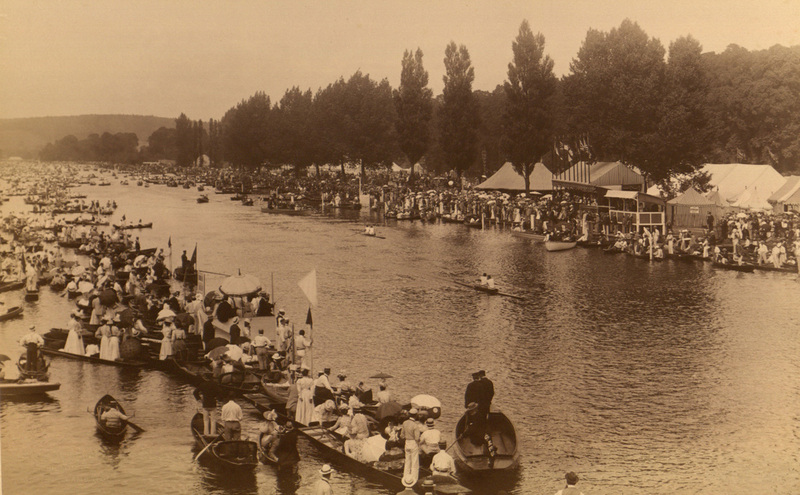 For the 1899 Henley Royal Regatta, on 5-7 July, the Stewards had ordered there to be booms placed on each side of the race course to avoid pleasure boats and punts drifting out in front of the crews racing, which had in the past ruined the day for many good oarsmen. One of these unlucky oarsmen had been the young Guy Nickalls (then rowing for Magdalen College, Oxford), who, in 1887, raced in his first Diamonds event, in the final against James Cardwell Gardner of Emmanuel College, Cambridge. Amongst the spectators that year was the Prince and Princess of Wales with a Royal party on a boat which got surrounded by small boats and punts (see on top). These crafts soon took over half the course on one spot, so the unfortunate Nickalls, racing on the Berks side, rowed right into the Royal enthusiasts and crashed his shell. He was not offered a re-start. Sandow’s Magazine of Physical Culture, founded by Eugen Sandow, ‘the strong man’, reported that houseboat owners at Henley produced ‘a chorus of groans and complaints’ as they saw the new booms ‘as a bar to the success of the meeting [the regatta]’. However, there were some places were sliding booms allowed the pleasure boats to pass on and off the course between the races. The Field later reported that ‘the booms were a splendid success.’ The regatta set a record when it came to attendance as more than 12,000 people arrived by train for the last day’s races. As has been mentioned earlier on HTBS, Acer Nethercott, successful GB Olympic and Oxford cox, died on Saturday, 26 January, 2013. 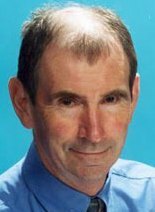 Olympic gold medallist, fellow member of Molesey BC and rowing writer Martin Cross pay tribute to a truly remarkable man on Molesey BC’s website, here. Will Lunn’s prize - both were from Worcester. Perhaps my favourite item in my small, eclectic collection of rowing memorabilia is a porcelain cup won by a member of Worcester Rowing Club in the intra-club races of 21 September, 1905. It appeals to me on at least two levels. Firstly, it is an attractive object, manufactured and hand painted by masters of their craft. Secondly, I have full provenance. I know who won the cup and where the cup itself was made. Pleasingly, both of them were local to Worcester. 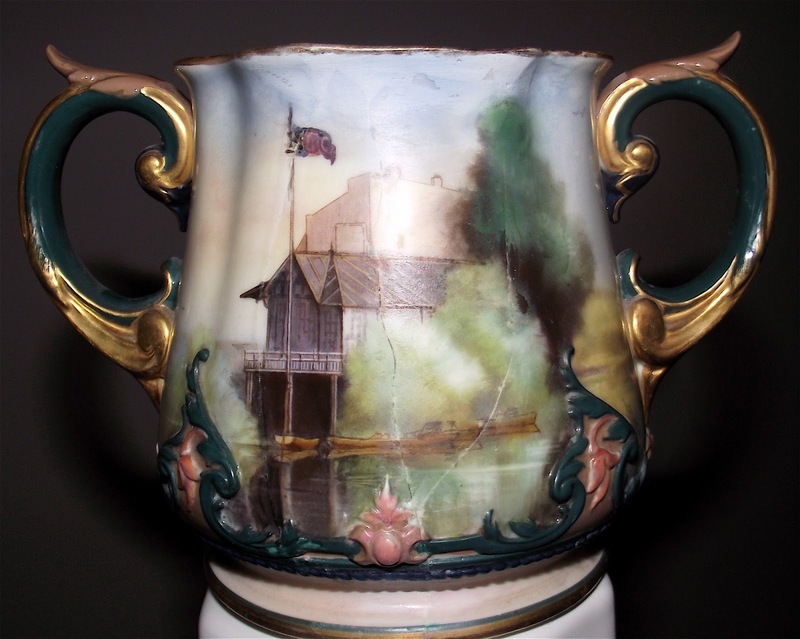 The back – or is it the front – of the Royal Worcester Loving Cup. Worcester today is a city of 100,000 people. It is situated on the River Severn in the county of Worcestershire in the English West Midlands, thirty miles south west of Birmingham. 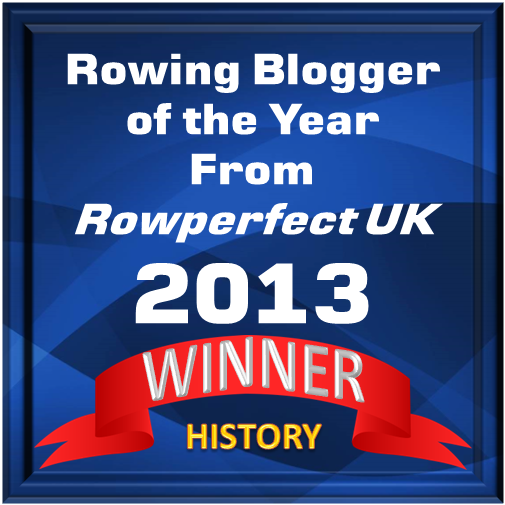 The rowing club dates its founding as 1874 but, as the history section of its website shows, W.R.C. is an amalgamation of several earlier clubs (some dating from the 1840s) and there are records of a local regatta held as early as 1845. 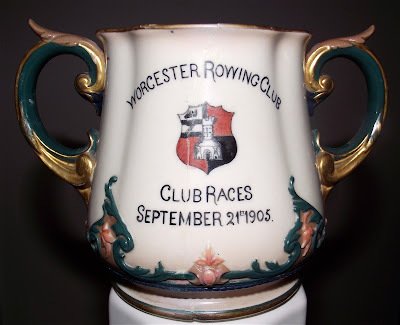 The website claims ‘...organised rowing races occurred at Worcester some 210 years ago’ but gives no evidence of this. The city is arguably most famous as a centre of fine porcelain making between the years 1751 and 2009. It was so successful in producing classically English china that successive British Monarchs granted the title ‘Royal Worcester’. Over the years the industry employed some of the best and most innovative ceramics artists. These painters often specialised in different images such as birds, fruit, cattle or flowers. Latterly they would sign their works to distinguish them from cheaper versions that used transfer prints. A regatta at Worcester in the early 1900s. The clubhouse, backed by the racecourse grandstand, is on the right. For some reason it is flying the flag of the Royal Navy. My ‘pot’ is a 4 1/4 inch high loving cup made by Royal Worcester between June and September 1905 and painted and signed by the artist, Walter Powell. A ‘loving cup’ is a shared drinking container, usually with two handles, traditionally used in a complex ceremony at weddings and banquets but latterly more often used as a trophy. A stamp on the bottom clearly identifies the cup as made by Royal Worcester in 1905. It is also marked ‘Hadley Ware’, a name which was used between June 1905 and March 1906 for items produced at the factory in Diglis Road, Worcester. 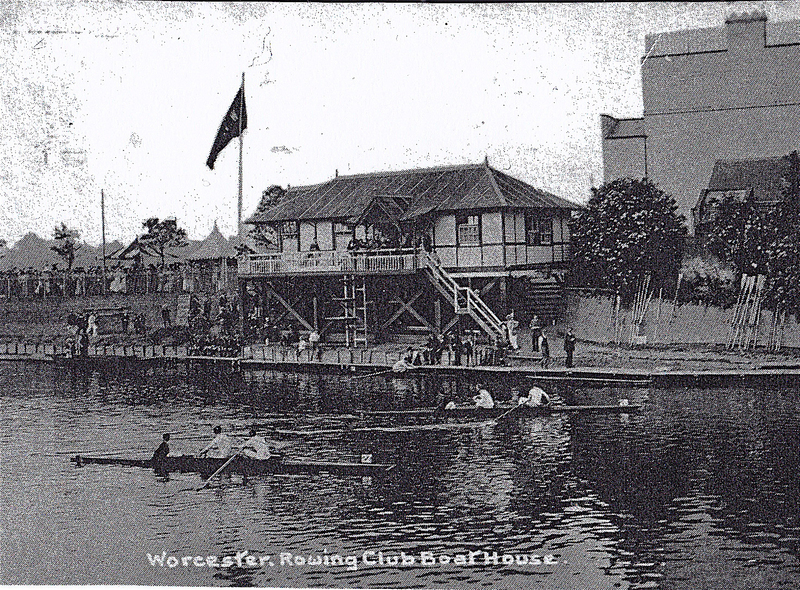 Another regatta at Worcester from the same era but with a different view of the clubhouse and grandstand. 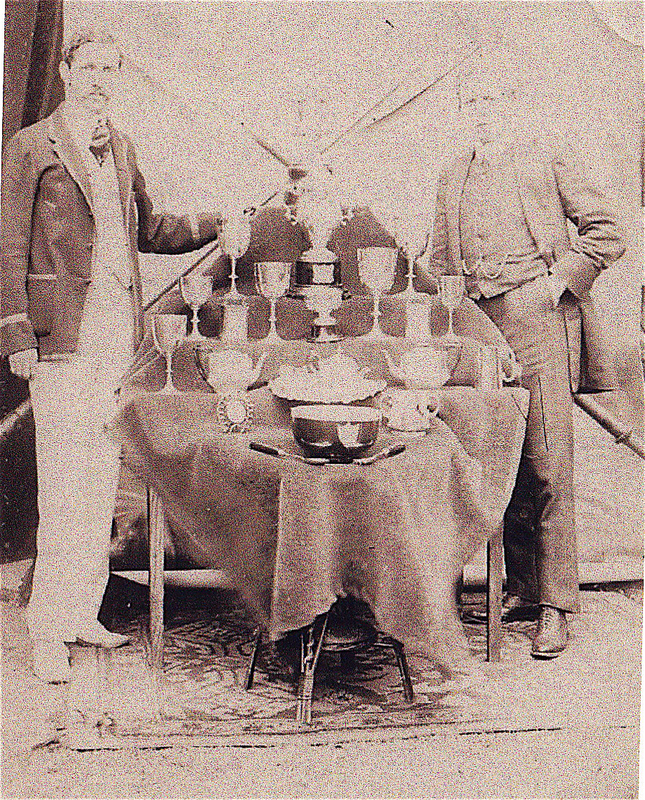 While the origin of the cup itself is of no doubt, we also know the identity of the winner – and even have a picture of him taken in 1906. His name was Will Lunn and he was a relative of the lady that I bought the item from. I know nothing more about Will, but the lady also provided information about another relative, Thomas Lunn (Will’s father?) 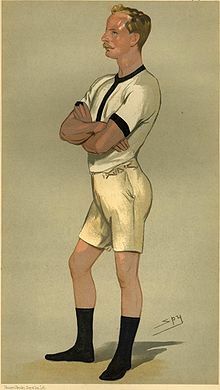 who was also a successful rower with Worcester in the 1870s. He was a local pharmacist who sold '”...a wonderful pain killer, Lunn’s Electronic Embrocation, ‘electrical’ in its action on rheumatism, sciatica, neuralgia, chest colds, pleurisy and all nerve and muscular pains'”. Perhaps this was the secret of the Lunn’s rowing success? Whatever the reason, the picture shows that Will amassed some splendid trophies. I like to think that he enjoyed the one(s) made a short walk away the most. 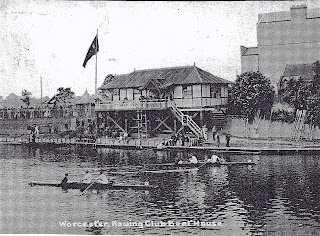 Worcester RC, 1906. Tom Cheesewright (left) and his cousin Will Lunn. The Loving Cup is at the front right, behind the bowl. HTBS was reached with sad news from London this morning, where Tim Koch in a short e-mail writes about Olympic silver medal-winning cox and double Boat Race winner Acer Nethercott, who has died at the age of 35. A spokesman for the Great Britain rowing team said: ‘Today we mourn his passing.’ Nethercott, who was from Essex, coxed the British men's eight to Olympic silver in Beijing in 2008. Read more on BBC sport news here. You will also find his biography on British Rowing's website, here. 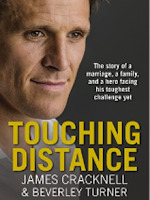 Update: Late in the day, Rachel Quarrell, the Daily Telegraph’s rowing correspondent, wrote that Nethercott died of an aggressive brain cancer ‘that he nevertheless fought off for several years.’ Read her article here. The latest attempt to cross the Atlantic, from Gran Canaria to Barbados, is right now under way. Today the Titan, which is the lightest eight-man ocean boat ever, is on her twelfth day out on the open water. Her seven-man crew (!) is chasing the current record, 32 days, and is hoping to speeding across the Atlantic in under amazing 30 days. Read more about the boat, the brave crew and their record-breaking chase on their web site here. 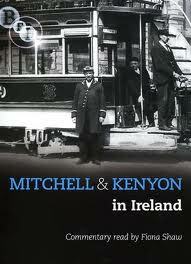 Sagar Mitchell and James Kenyon founded the firm of Mitchell & Kenyon in 1897. The company was one of the largest film producers in the United Kingdom in the 1900s, with slogans like “Local Films for Local People” and “We take them and make them”. Between 1900-1913, filmmakers Mitchell & Kenyon roamed Northern England, Scotland and Ireland filming the everyday lives of people at work and play. For 70 years, 800 rolls of this early nitrate film sat in sealed barrels in the basement of a local shop in Blackburn. Rediscovered by local historian Peter Worden in the early 1990s and subsequently acquired by the British Film Institute in June 2000 this collection has been the subject of an ambitious four-year restoration and research project. (Gary W. Tooze of DVD Beaver). The films were shot and shown, perhaps on the same day, in local halls and early cinemas. People would pay for the privilege of seeing themselves as others did. The results of the restoration were originally shown on BBC as a three-part series, The Lost World of Mitchell & Kenyon. 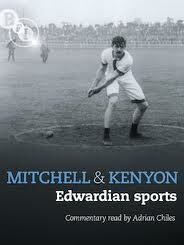 The series was released on a DVD and followed up with three other DVDs – Electric Edwardians: The Films of Mitchell and Kenyon, Mitchell & Kenyon – Edwardian sports and Mitchell & Kenyon in Ireland. Kingston Rowing Club at Practice (3 May 1902). This clip is 4:32 long and the opening commentary states that it takes place on the River Humber but it should more correctly state that it is the River Hull. Kingston-upon-Hull is a town in North East Yorkshire situated next to the Humber Estuary. Watch out for the sculler at the end of the clip, paddling along smoking a pipe! Final of International Cup at Cork Regatta between Leander and Berlin (23 July 1902). This clip is only 2:32 long and was previously included in an earlier posting on HTBS called Royal Visits Benefit Irish Rowing. 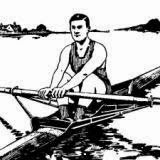 Rowing, too, was emerging in the Edwardian period as both a popular leisure pastime and a sporting occasion. Two films selected here illustrate both the amateur nature of the sport and the problems of shooting sporting events at the time. Final of International Cup at Cork Regatta, filmed at the Cork International Exhibition on 23 July 1902 features Leander from Henley-on-Thames and Berlin Rowing Club. Leander won the race but the film appears to be more of a series of spectator shots rather than action on the river. Kingston Rowing Club at Practice, shot in May 1902, emphasises the comic nature of the event as opposed to the sporting, with audience appreciation in the later showing of the film centring on the rowers falling into the river. There are three rowing clips on this DVD as follows: Two-oared Boat Race, Sundays Well, Cork (1902), Crews practicing on River Lee at Cork Regatta (20 July 1902) and Final of International Cup at Cork Regatta between Leander and Berlin (23 July 1902). They can be found together as one clip of 4.47 with the slightly misleading title of Mitchell & James Kenyon -1901-Rare Video of Ireland-Part 11. The Cork Exhibition was also a venue for some of the sporting titles shot in Ireland, rowing being one of several spectator events held during the summer. 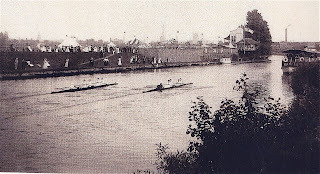 Two boat races took place in Cork during this period: the first International Gig Races of 21-23 July at Cork International Regatta, glimpses of which can be seen in Two-oared Boat Race, Sundays Well, Cork (1902); and the Final of International Cup at Cork Regatta between Leander and Berlin (1902) held on 23 July. Leander, who won the competition, was founded in Henley-on-Thames in 1818 and are the world’s oldest and most renowned club [sic]. As HTBS readers will know, Leander was indeed founded in 1818, but on the Tideway. There are at least three surviving rowing clubs older: Brasenose College Boat Club, Jesus College Boat Club and Westminster School Boat Club. Beautifully situated just west of Cork city centre on the banks of the Lee, the club emerged as a by-product of annual boating regattas at the Mardyke. Boating, with a high society classification in the 19th century, was a popular pastime on the river adjacent to Sunday’s Well. Due to limited revenue, boating events such as mini regattas were not organised every year, but the races are remembered for the Chinese lanterns and bunting that illuminated the gardens at the riverbank, as well as the balloon and firework displays at sundown. 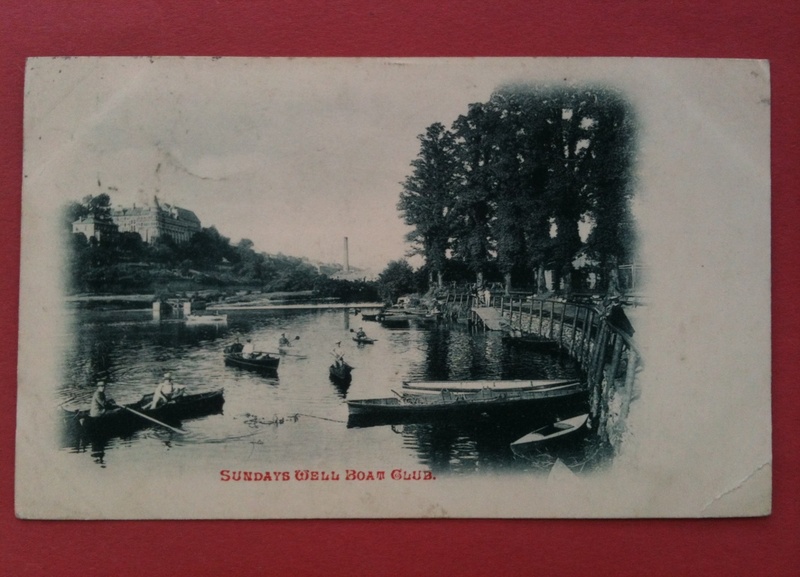 In 1899, inspired by a successful Sunday’s Well Regatta and Water Carnival held that July, the Sunday’s Well Boating and Tennis Club was founded. It was formed by a number of organisers of the regatta, several of whom were residents in Sunday’s Well. 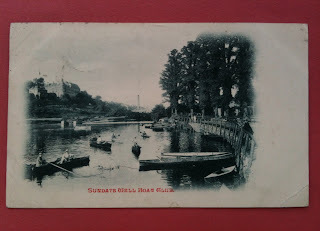 I can’t remember Sundays Well Boat Club taking part in any IARU (Rowing Ireland) organised regatta and I have never seen their name in any old programmes, but some years ago I purchased an old postcard featuring them, as they do play a part in Irish rowing history. Posted in Dublin, Ireland on 27 November 1903. Richard Butler, who is USRowing’s Inclusion Manager, writes and discusses hot topics related to diversity in rowing in a blog on USRowing’s website. 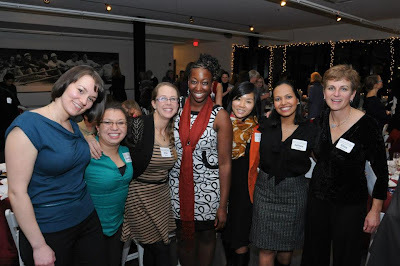 Yesterday’s post had the title: “Grace, Grit and Glory – A Celebration of Women in Rowing” which also was the title for an event organised by Community Rowing, Inc.’ Read his blog post here, and do not forget to go to Facebook to check out some pictures from the event, here. 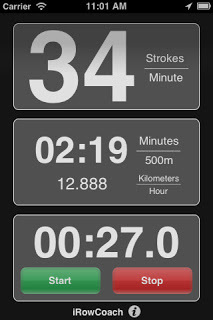 FISA’s worldrowing website has just posted an article about rowing-related apps, and there is a list of free apps, too. Check it out by clicking here. Of course, HTBS has already posted two entries on rowing apps earlier. Re-read them here. 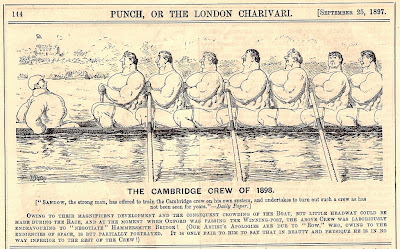 Earlier on HTBS there was an entry about the crews who rowed in the 1897 Boat Race. The Dark Blues won, despite the high hopes the Light Blues had to overcome their antagonists. 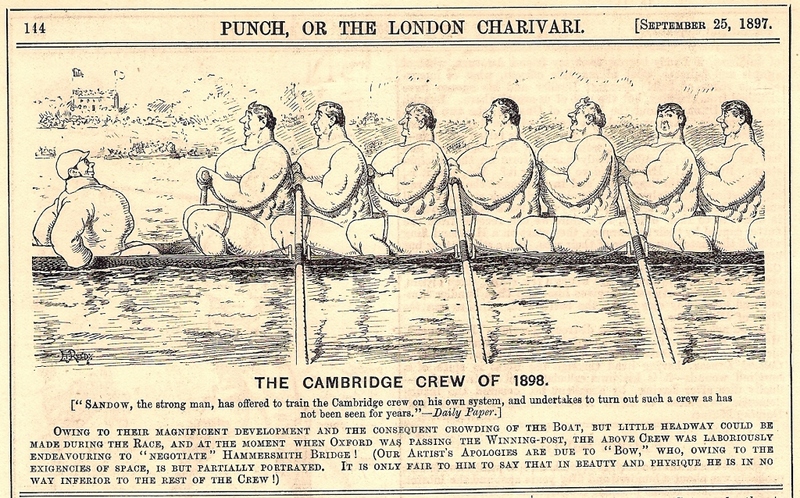 In September the same year, the satirical Punch, or the London Charivari published a funny illustration how the 1898 Cambridge crew would look if 'Sandow, the strong man' would be in charge of the Light Blues' training, using 'his own system'. 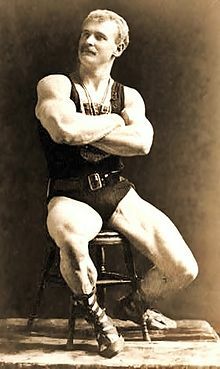 Read more about Sandow here. Maybe this is why the Light Blues never asked Sandow to coach them? No, to be honest, Sandow did a lot to help rowing and other sports by publishing a paper, Sandow’s Magazine of Physical Culture, which had some very well-written articles on all kinds of different sports. In the depths of dream. The horizon keeps moving further away. To get more information about this competition, culture programmes, accommodations and information for spectators, etc, please click here. On 10 September, 2012, HTBS wrote a piece about a short article on the Henley Royal Regatta published in the American monthly magazine Town & Country. 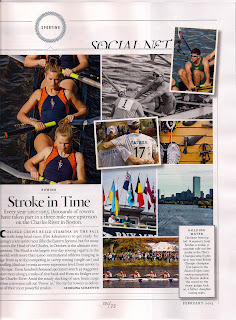 Flipping through some magazines at the newsstand yesterday – it’s a habit I have acquired since I was appointed the editor of a museum magazine – I found another ‘rowing article’ in the T&C. 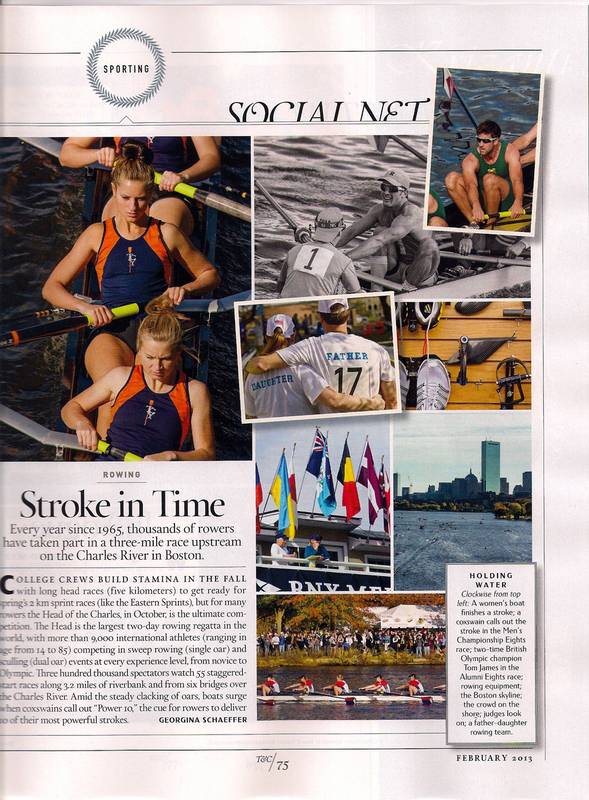 This time it’s about last October’s Head of the Charles in Boston, MA. The writer of the article is T&C’s senior editor, Georgina Schaeffer. I don’t know if Ms. Schaeffer has ever hold an oar, but I think not, as she is not using the word ‘crew’ for ‘row’, or ‘crewing’ for ‘rowing’, which otherwise is an American custom, which, I would like to add, is little understood by us non-Americans. By reading them, or not. The page is easily turned. 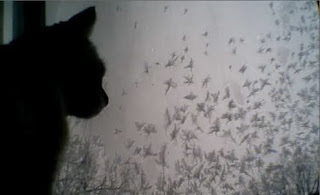 Beckoned his thoughts to action. Until March 2013 the River and Rowing Museum in Henley-on-Thames is showing posters from the London Transport Museum. 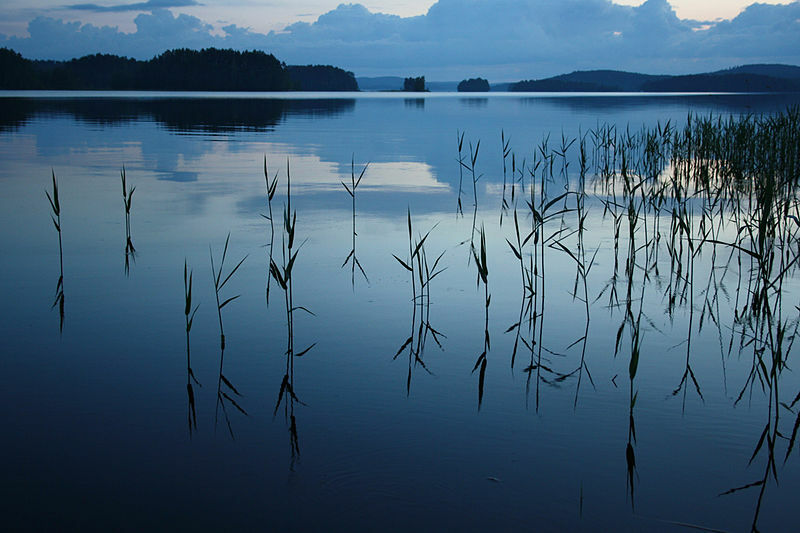 Don't miss this opportunity to see some beautiful art work with rowing motifs. I do not know if any of you HTBS readers saw the Antiques Roadshow on the BBC on 6 January? They showed an illuminated Oxford oar spoon from the 1938 Boat Race that had been found on a rubbish dump. The interest was that No. 2 was H.M. Young, one of the ‘Dambusters’. 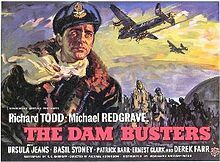 The expert identified it as the real thing but I have my doubts, I think it may be a prop from the 1955 film, The Dam Busters. The item on the Roadshow can be viewed until next Sunday on iPlayer and starts at 34 minutes 10 seconds in (I am sorry, you outside of the U.K. will not be able to view this). I think this is the prop made for the film for two reasons. Even allowing for some fading, the blade was never ‘Oxford blue’ – however, it would be acceptable for a black and white film. Secondly, it is headed ‘Oxford and Cambridge Boat Race 1938’. While I expect that such blades were produced ‘unofficially’ and to no set pattern and usually only for ‘bumps’, I do not think I have ever seen a blade headed ‘Oxford and Cambridge Boat Race’. They usually say ‘Oxford / Cambridge University Boat Club’. As CUBC and OUBC only exist for the Boat Race it seems unnecessary to include the words ‘Boat Race’. In a film, however, you need to make things as clear as possible. Incidentally, the film’s interiors were shot at Elstree Studios which is 30 miles from where the spoon was found at Bletchley. This does not prove anything but is interesting. 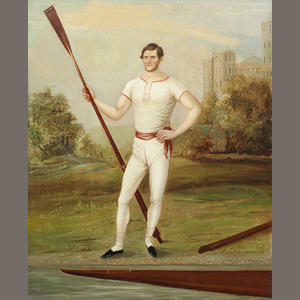 This 19th-century portrait of the oarsman Edward Hawks will be auctioned at Bonhams on 29 January. Image from Bonhams. The good fellow Greg Denieffe has found a real gem in an auction catalogue from Bonhams, he writes, but first he mentions something about Fred Roffe, who HTBS wrote about on 4 January. It was sad to read about death of Fred Roffe. Of course I knew of the “The Fred Roffe Collection of Trophies, Medals and Memorabilia of Harry & John H. Clasper” but did not know anything about the man who donated the collection to the museum in Mystic. As is often the case, something that would have been of great interest to Fred Roffe has now come on the market and will be auctioned by Bonhams in London on 29 January. What is going to be auctioned is a 19th-century portrait of the oarsman Edward Hawks with Durham Cathedral in the background. 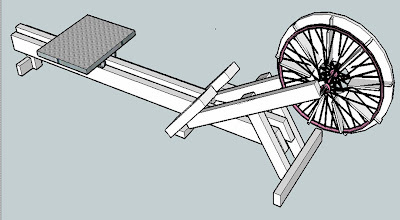 In the November/December 2012 issue of Rowing & Regatta (the official magazine of British Rowing) there is an excellent article about ergometer evolution called “Magnificent men in their rowing machines...” It is a brief history of the rowing machine from 1871 when the first patent was filed by W. B. Curtis right up to the modern ergometers in use today. The article mentions that “rowing machines were used in the rehabilitation of soldiers wounded in the First World War”. This can be seen in a short British Pathé video showing "Queen Mary Opening the New Albert Dock Hospital". 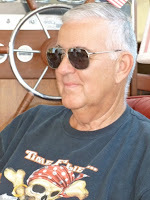 The article was written by a friend and old crewmate of mine, the indomitable Jim Flood. 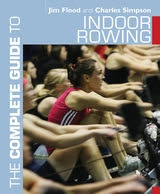 Jim is a British Rowing and FISA Coach Educator and is author of Know the Game: Rowing and co-authored with Dr. Charlie Simpson of The Complete Guide to Indoor Rowing. He has also written three free e-books, The ergonomics of rowing , Balance and Coaching achieving the best results possible. These are all available on the Rowperfect website. I know Jim from his time in Milton Keynes when he worked for the The Open University and rowed with me at Milton Keynes Rowing Club. One of our most memorable races was the 31 mile Boston (Lincolnshire, England) Marathon in 2002 which we completed in 3 hours, 59 minutes and 50 seconds (ten seconds can be very important!). 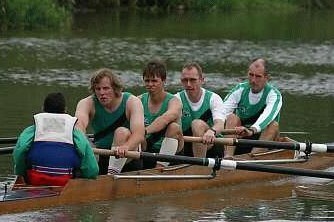 Boston Marathon 15 September, 2002, Jim (bow) & the MKRC Vet C 4+ (the article writer in 2 seat). Jim has recently returned from Alexandria, Egypt, where he was running coaching clinics at the African Rowing Championships. Development of rowing in poorer countries is very close to Jim’s heart and perhaps this is something that should concern us all, as it is FISA’s (World Rowing) inclusivity policy that is keeping rowing on the Olympic programme. Another programme that Jim has developed is ‘Openergo’ which is a project to develop a low-cost rowing machine which can be made using basic DIY skills for a cost of £25/$40. The Openergo website has all the details and a short video showing a wooden frame prototype in use. There is also an angle iron frame version and a longer video here on which Jim provides commentary. In New Zealand we also have New Year’s Honours to recognize service to the community. We have awards for the Queen’s Birthday in June, but otherwise New Zealand has more or less done away with the old British awards of OBE and MBE, etc., and has our own Order of Merit of which there are several grades. Eric Murray and Hamish Bond (above, left to right), who won gold in the Pairs at the London Games, are among several Olympians who have been recognized in the New Year’s Honours List. 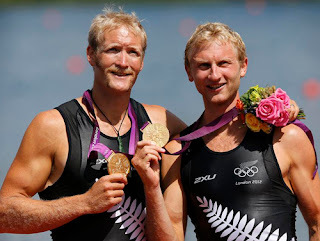 They have been made Members of the New Zealand Order of Merit, together with fellow rowers Joseph Sullivan and Nathan Cohen, who also won gold in London. Read what The New Zealand Herald writes about these rowers, here. By the shadow of slender elegance. Quacking toward a clump of grass. As sunlight stroked them, tenderly. Though I rowed deep in the day. As I stroked the skin of the river with my oars. 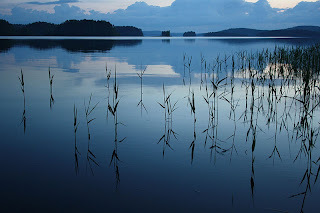 The marsh grass shivered round where the egret stood. The river purred at the touch of my oars. Purring curled in my lap. On New Year’s Eve my family and I received some sad news. Our dear friend Fred Roffe had passed away on 29 December at the Memorial Sloan Kettering Cancer Center in Manhattan after a brave battle with cancer. I first met Fred in the summer of 2002 at Mystic Seaport. He happened to ask me if I knew any books still in print at that time about Harry Clasper, the English boatbuilder and professional oarsman. 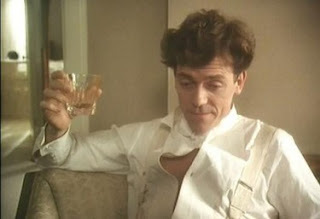 Instead of just giving him the title of David Clasper’s book Harry Clasper: Hero of North, which was published in 1990, I gave him an hour-long vocal essay on the professionals. Maybe it was to finally shut me up that he invited me and my wife and our 1-year-old daughter to his boat True Love which he had docked at the Museum. That same evening we showed up at True Love, we were invited aboard where Fred and his lovely wife, Fran, provided us with snacks and cocktails. And so started a beautiful friendship. As a professional, Fred had been an engineer for Grumman Aerospace in Bethpage and he was the lieutenant commander and education officer for the Peconic Bay Chapter of the U.S. Power Squadron. Fred had not rowed at school, although he had done his share of messing about in boats ever since he was a kid, and he was a great friend of rowing history virtually by being a descendent of the famous Clasper family in England. Each time the Roffes visited Mystic Seaport with True Love, which they motor-powered across Long Island Sound from Hampton Bays on Long Island (which happened once, twice or three times a year), we were invited on board their beautiful 40-foot boat. Barely had we step aboard, and I had a rum drink in my hand and with that, and Fred’s family background – I mean here you had in front of you a descendent of the famous boatbuilder who invented the outrigger – my family’s visits on board True Love always became a long happy affair. Our two children have cheerfully tumbled around on the deck of True Love ever since they were babies, sometimes with a playful Fred by their side. But not only did Fred and Fran welcome you with open arms, they were tremendously generous in so many other ways. Fred had in his home an incredible collection of rowing memorabilia which had belonged to Harry Clasper and his son, John Hawks Clasper, also a famous boatbuilder. 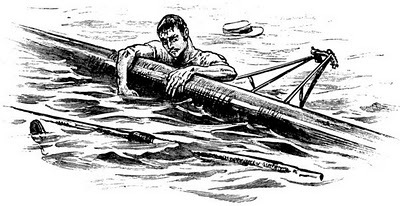 After some drinks one night, Fred told me that he did not know what to do with his collection of rowing ‘stuff’. I suggested that he should donate it to the National Rowing Foundation, which Fred did a couple of weeks later. His unselfish and noble gesture meant that these historic artifacts could be shared with the public and available for rowing historians and scholars to study. Knowing Fred, I see this act as a true mark of a gentleman. “The Fred Roffe Collection of Trophies, Medals and Memorabilia of Harry & John H. Clasper” can now be viewed in the exhibit of the Rowing Hall of Fame at Mystic Seaport. Take a look here. Fred will be sadly missed by my family and me, but also by a large number of staff and volunteers of Mystic Seaport, whom he and Fran befriended during their many visits to the Museum. Our warm thoughts go to Fran, who has been Fred's wife for 51 happy years, and to their children and grandchildren. The Thames Rowing Club was founded in 1860 as the City of London Rowing Club. At a meeting in February 1862, the name of the club was changed to the Thames Rowing Club. In 1866, the Thames RC had acquired a boathouse at Putney which belonged to the boat builder William Styles of Isleworth. Manager for the boathouse was William East, Sr., William ‘Bill’ East’s father. 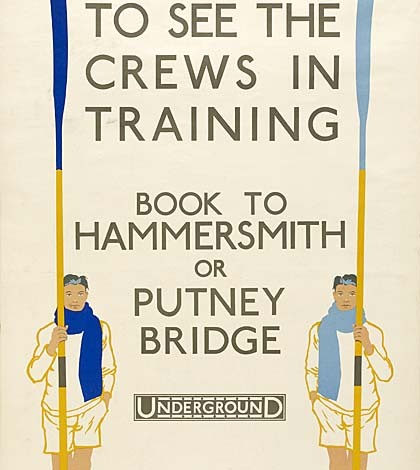 The professional champion Bill East had strong connections to Cambridge University BC as he acted as their ‘waterman’, taking the Light Blue coxes in a boat for many years to show them how to steer on the sometimes unruly waters of the Thames with its tides and streams between Putney and Mortlake. With Bill East around Thames RC, many of Cambridge’s rowers went to the club after they left the university and got a job in the city. This was what happened in 1898 when some Trinity Hall oarsmen, William Fernie, William Bieber and Hunting Howell, joined the club. Some ‘Hall’ rowers, including Richard Croft, were already members. Croft took the Colquhoun Sculls in 1893 and the Lowe Double Sculls in 1894 (together with Adam Bell), and he also rowed in the Hall’s first eight winning the Head in 1894 (with Fernie and Bieber) and in 1895 (with Fernie, Bieber and Howell). Also the Hall’s David Campbell-Muir, who got his Blue at the same time as Howell, would become a member of the club. 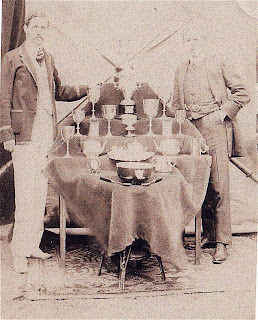 For the 1898 Silver Goblets at Henley, Fernie raced in the pair with A. ‘Bogie’ Bogle who was ‘a very difficult and aggressive crew member’ Geoffrey Page writes in his history book on the Thames RC, Hear The Boat Sing (1991). For some unknown reason Bogie was not on speaking terms with his partner in the boat on the day of the final, where they were going to race against A. M. Hutchinson ‘Old Hutch’ and Steve Fairbairn of Jesus College BC (yes, the famous coach to be). On the way to the start, Bogie and Fernie tried to pull each other round which they continued to do during the race. Old Hutch and Fairbairn took an early lead at a high rate which was doomed to fail. The Thames pair soon was in the front and won comfortably.